We have grown to be a society that is more informed than ever before. But even though we are just one tweet away from voicing our opinion, it is as if we were still not part of the bigger discussion. Major issues that concern us all are still tackled behind closed doors and anyone outside the hallowed chambers where these matters are debated often feel like a mere spectator. Yet if you live in Vienna, you are just one U-Bahn ride from one of the major UN Offices in Europe, where international conferences and heated debates are taking place on a daily basis. Living right around the corner does not secure you a spot in one of those conference rooms, though, and it takes more than your tourist pass to become involved in these discussions. 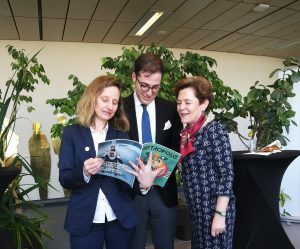 Le Cercle (the francophone society at the Diplomatic Academy in Vienna), however, tries to bridge this gap. And what can be a better topic than something so inclusive, yet, not talked enough about as medication? 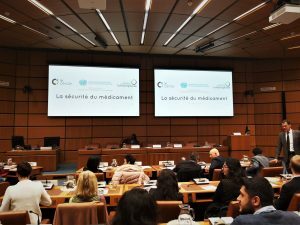 So, this February, Le Cercle held a conference focusing on security of medications and drugs (La sécurité du médicament) for enthusiasts of international relations, no matter your background. The event took place on February 15 at the Vienna International Center (VIC) and focused on two challenges: The political one, with speakers such as Floriane Bacconnier (Interpol), Ambassador Henri Monceau (International Organisation of La Francophonie), and Fatou Haidara (UNIDO) discussing the problems that Africa and the Global North are facing, followed by round-table debates with representatives from several major pharmaceutical companies. The president of Le Cercle, Matteo Mirolo, explains the rationale behind such a special event. He stresses the need for a more open discussion regarding problems that concern society but are still lacking the needed attention. Hence, the focus of the conference was medicine security. “People buy organic food because they want to know what they ingest, therefore, people should pay the same attention when it comes to medicine. They need to enhance their culture what a healthy medicine is”, says Mirolo when asked why did Le Cercle focus on this topic. 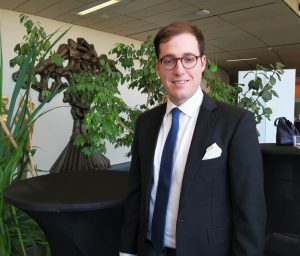 He stresses that one of the organization’s main aims is to “open the doors of the UN” to everyone who is interested in the subject and willing to participate in the debate. Unfortunately, such topics are rarely discussed outside the professional field so this conference is a great opportunity to give voice to the ones who normally don’t have the chance to speak. But what do the non-professionals attending the conference have to say? Édith is a translator from France who has been living in Vienna for the past six years and says that when it comes to medical security, public information is scarce. Of course on a global level the pharmaceutical market differs, but within Europe, the industries are not alike either. It comes as a big surprise to Antonio, a translation and interpretation student, to know that millions of medications are compromised by trafficking and criminal activity. “It is a global problem that we have to face together,” he adds. Both Édith and Antonio are seeking information, eager to learn more about the problem and understand its roots. So, what are the issues we should be aware of? We believe that the situation in the Global North is monitored and rather secure when it comes to medications. Yet, we should not forget that the world is open and borders do not equal isolation. Taking into consideration the migration crisis from a few years back, we should not be ignorant: “the mobility of people and goods is linked”, says Monceau. One of the essential problems for African countries is the lack of effective pharmaceuticals production since only 3% of the medication distributed in Africa are actually produced on the continent. This turns out to be a gold mine for traffickers and criminals who profit from the current situation. Crimes connected to compromised medicine due to improper transportation and storing, counterfeit medications, and re-selling medications with an expired date are one of the most common offenses. 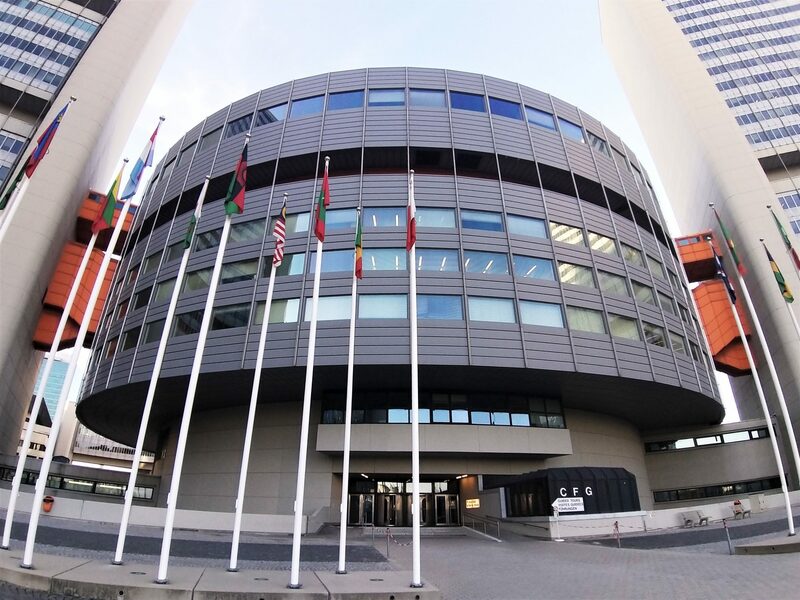 The involvement of international organizations such as Interpol, UNCTAD, and UNIDO is just one of the steps towards the improvement of this complicated situation. 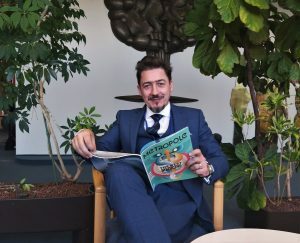 Jürgen Reinhardt, Senior Industrial Development Officer for UNIDO, claims that the pharmaceutical industry is a highly delicate market where authorization is crucial. Therefore, the weakness of local institutions is the biggest hazard for the regulation and controlling of the trade. Amb. Monceau claims that medicine security should be seen as an international concern. Raising the decision makers’ awareness and implementing a global office for regulation of the exchange of medication amongst others would be considered effective measures. However, all issues should be tackled simultaneously, as Monceau compares the situation to a Rubik’s cube, you simply cannot play with just one piece of the puzzle and expect to reach an objective. Even though there is a long road to go, the stepping stones are laid. When talking to Agnès Chanut, vice-president of Le Cercle, after the conference, she cannot hide her excitement. Although some were hesitant that they will succeed, especially because of the chosen venue, the event has proven to be a success. Both the private industry and international organizations have willingly participated in the conference and given their input. The forum could offer both professionals and non-professionals with the chance to meet international diplomats from Tunisia, Morocco, Germany, and Italy and establish a common platform for communication and exchange of ideas and thoughts. “Another success was the connection we made between pharmaceutical companies and international organizations”, says Chanut. Even though logistic challenges were part of the organizational process as well as the fact that the work at Le Cercle is done on a voluntary basis, the team is looking forward to new projects. Metropole is proud partner of Le Cercle, bringing you the best not only of English-speaking Vienna, but also of francophone Vienna.